Today was a great run. We had 4 adult mentors run with 5 of our students today. 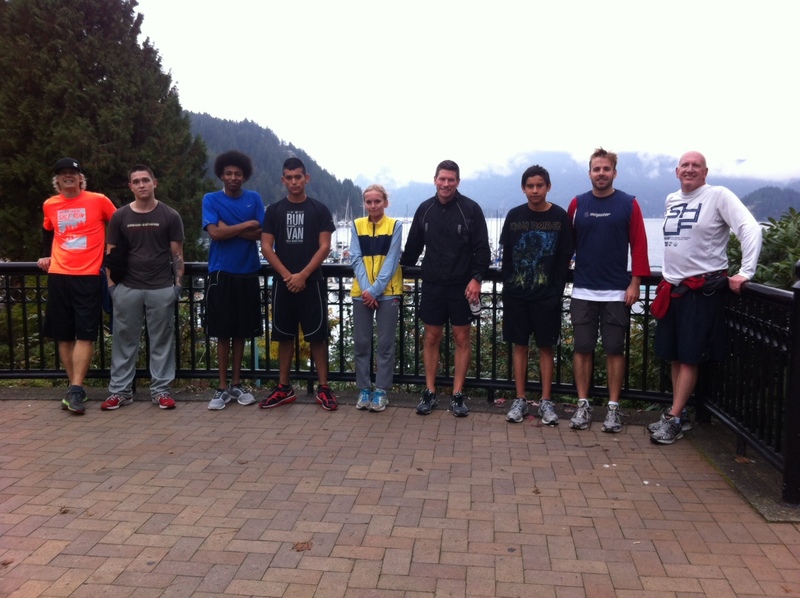 Instead of sleeping the day away, the 5 students laced them up and collectively conquered the Deep Coce Run. Special thanks to Brandon Steele of the Vancouver Police Department, and Ben Proctor a very committed volunteer who works with the students around 3 times a week. These two gentleman ran alongside Gord Howey, the best counsellor on the planet. It all culminated with Barry Skillin, our alternate program worker extraordinaire, picking all of us up in the van at Deep Cove. These students are so fortunate to have these amazing adults in their lives, demonstrating what it takes to be an honourable, peaceful and committed adult. 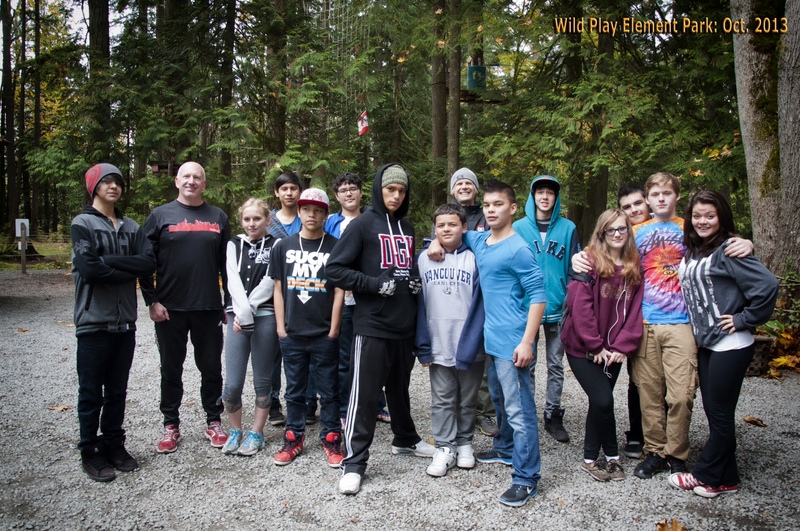 Streetfront ventured out to Maple Ridge to conquer their adventure course. 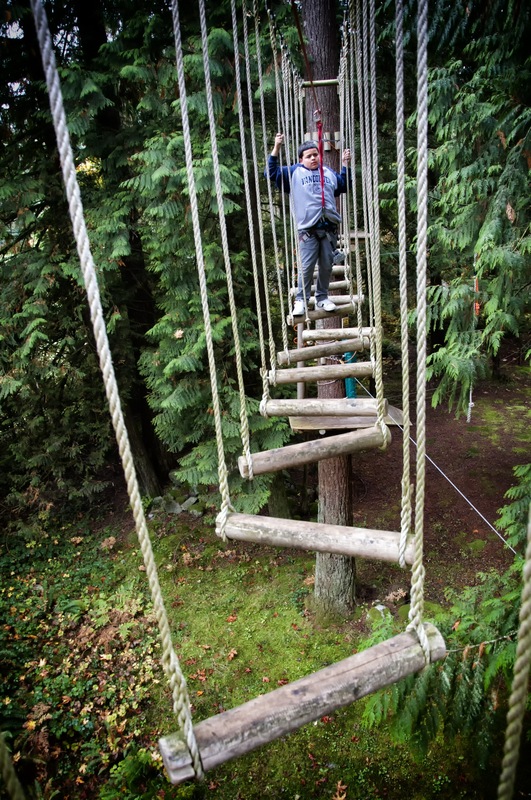 The course is a thrilling mix of high ropes games and stunts. The students were forced to overcome their fears and trepidations, pushing themselves outside of their comfort zones. Traversing over ziplines, launching yourself into cargo nets 60 feet off the ground, gingerly making your way across wire tight ropes – these are just a few of the obstacles that the kids had to tackle. The Strachan Hartley Legacy Foundation has been supporting students in need for over 5 years. The charity was set up when Strachan Hartley succumbed to cancer in his 30th year. An amazing man, supported by an equally amazing family, Strachan lived life as hard as you could ever hope – meeting and exceeding expectations and obstacles in a tireless pursuit of excellence. In his death, the family wanted to honour his spirit and character by raising money to help support disadvantaged kids in athletic and extracurricular endeavours. Streetfront has been the recipient of annual grants from the foundation. This money has provided literally hundreds if opportunities for kids to push themselves and grow in ways never thought possible. The generosity and kindness bestowed on our program and our students has been wonderful to witness. This isn’t charity – this is an investment in the beauty and power of youth, something far more meaningful and tangible. 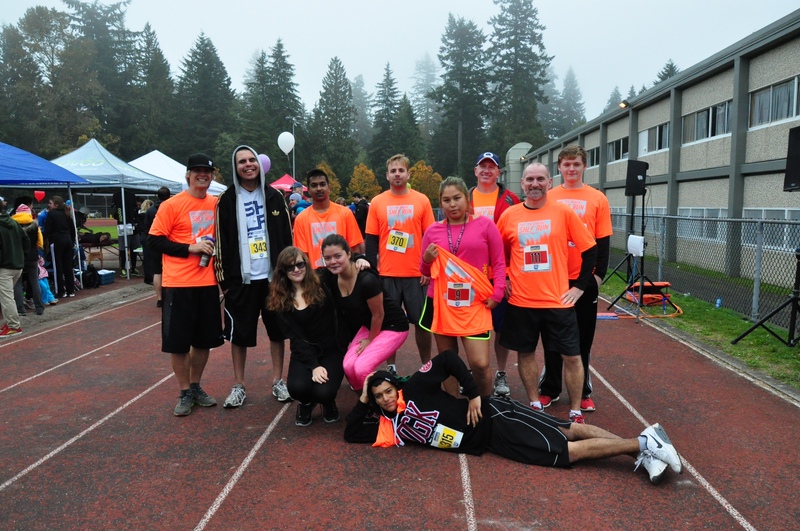 On October 20th, we gathered current and former students at the portable at 8 am and headed over to Handsworth Secondary in North Van to participate in their annual 5 and 10 km fundraising run. A very challenging course dominated by the mountainous terrain made for a very rewarding experience. Upon finishing, the students were surrounded by positive and caring adults whose cheers and claps made the run that much easier. Art continues to dominate our afternoons at Streetfront. Ken Lum – artist extraordinaire – has these kids doing amazing things. 2 and 1/2 hours of pure creativity and joy.